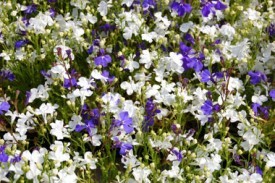 Often seen in hanging baskets and container plantings, lobelia is often used as both a good filler to compliment other flowers and a pretty spiller as it trails off the side of the pot. 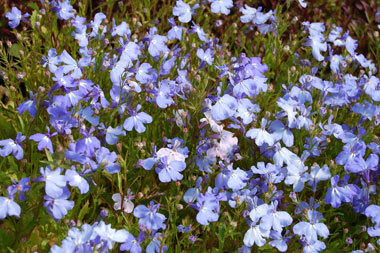 It is easy to grow and comes in many shades of blue, white and pink. 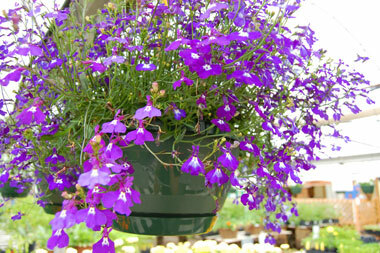 Lobelia grows at a medium rate, is low maintenance because it is self-cleaning and no deadheading is necessary. 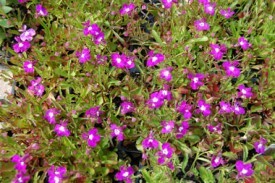 It grows best in full sun to shade in fertile, well-drained soil that should be kept evenly moist, but not soaked. Do not allow this plant to go dry as it will not bounce back. Fertilize regularly to keep it blooming from spring to frost.